I joined Snapdeal in 2017. 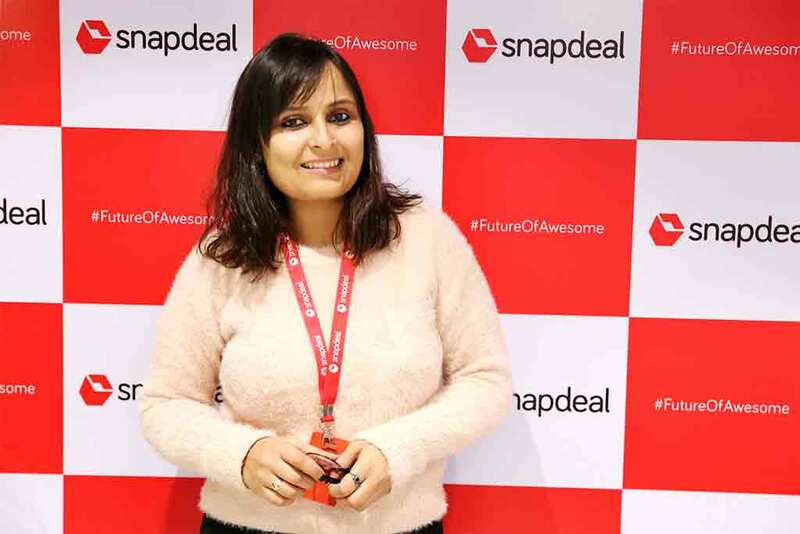 It has been an amazing journey with Snapdeal. It is fascinating to experience how the work culture weaves in the core values so deeply in everyone’s mind and heart. It reflects in the way teams interact with each other and passionately work towards the common goal and purpose. The founders proactively connect with all teams and welcome opinions, questions and ideas on open platforms. It is energising when you work with such positive and inspiring leaders everyday. Customer experience is not just a role at Snapdeal, but how every team’s KRAs includes responsibilities that contribute to the experience. Customer service at Snapdeal is far beyond talking to the customer. It is about making each conversation meaningful. Over the months, as my Res score started to get better, I was given the opportunity to join the Escalations team. I was excited to take this on. My responsibility in this role has been to go deep to understand every case and get a 360-degree perspective. It includes interacting with all the stakeholders, often discussing the nuances with the functional teams, before offering a resolution to the customer. It is a great learning experience to work with like minded people who truly believe in customer satisfaction and taking informed decisions to do the right thing. While there is always a roadmap to follow, it is not uncommon for us to go an extra mile just to ensure a smile. We have the freedom to think beyond standard processes but doing the right thing is one of the core values that each one of us swears by. Over the years, I have realized that it is important for us to be in the right mind frame to be able to do justice to our role. Snapdeal has a very warm and friendly work environment that ensures a happy and caring workplace. The love and affection the team leaders have for their teams is precious. They have a way of making any stressful day a cheerful one. With Snapdeal, I have evolved to be a much better professional. Snapdeal has helped me inculcate virtues like ownership, respect and spontaneity in my day to day working. These values are indispensable for any successful B2C business.